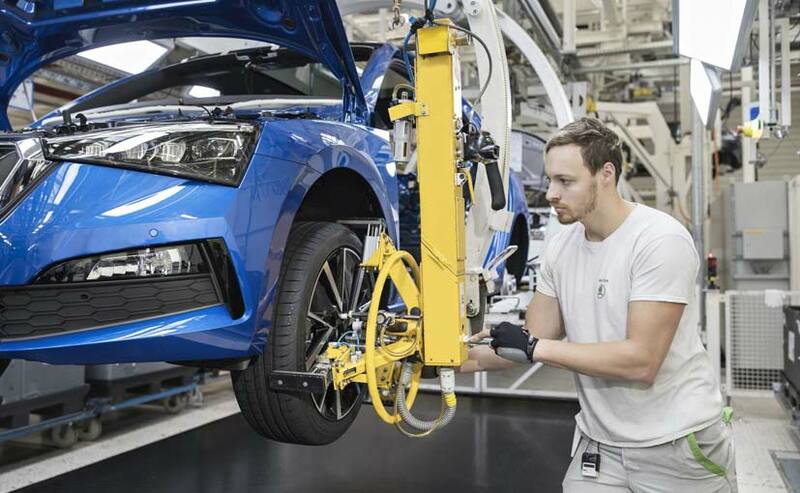 Skoda Auto has begun the first series production of the Scala hatchback for the European markets. The all-new offering replaces the Rapid Spaceback and is positioned between the Octavia and Fabia in the automaker’s stable. 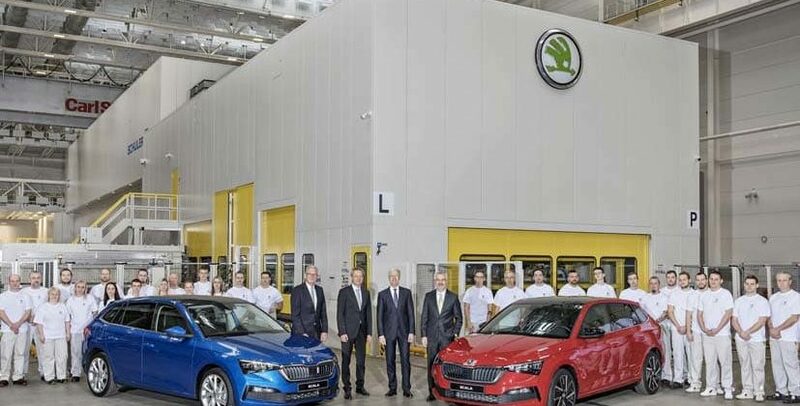 The Skoda Scala is being produced at the company’s main plant in Mlada Boleslav in the Czech Republic. The Scala is also the first offering from Skoda to be based on the Volkswagen Group’s MQB-A0 platform. The hatchback is slated to go on sale in Europe in the second quarter of 2019. The Skoda Scala started life as the Vision RS concept and retains a host of design elements on the production version. The The Scala is the brand’s first European model to feature ‘Skoda’ in block lettering on the tailgate. Since the car is based on the new MQB-A0 platform, it enables the hatchback to be loaded with a host of assistance systems that have been otherwise available on higher segment vehicles. The Scala then, comes loaded with Lane Assist, Blind Spot Detection, Side Assist with Rear Traffic Alert and Adaptive Cruise Control. There are two driving modes – Normal and Sport – courtesy of the Sport Chassis Control feature.